Several years ago, I attended my first EdCamp, and it changed everything. I love attending education conferences, but the commitment (time and financial) can be difficult to maintain. Here’s the gist of what EdCamp is. Teachers gather together, present a list of topics they’re interested in discussing, and a schedule is built. Educators go to the sessions to learn more, but they’re free to move freely between sessions. The topics are entirely dependent on the attendees, and anyone can share ideas. There are not main “presenters” although there may be someone in a session who takes the lead in facilitating a discussion. There’s no one sharing their ready-made presentation up at the front of the room, but resources can definitely be shared and disseminated. EdCamp is also free. The mission of EdCamp is to provide teachers with personalized professional development that will help their practice and students without putting a cost burden on them. No attendee of EdCamp should pay for anything from snacks to sticky notes. Because of generous donations from the EdCamp Foundation and other sponsors, EdCamp is and will always remain free PD for educators. In 2016, I became one of the new EdCamp Omaha organizers. The torch was passed by Josh Allen and Kristina Ishmael Peters who still attend EdCamps and are educational leaders in Nebraska and the country. Allen put it best when he explained why he attends EdCamps. “It’s a fantastic way to recharge your batteries with people who treat our career as a calling, not a job. We’re in our element,” Allen said. EdCamps tend to bring together educators who want to better themselves not just for career advancement but to make things better for the kids they teach. Why do I EdCamp? Like almost everything I do in education, it’s all about the relationships. Genius Hour became my passion when I realized the connections I was building with students, the relationships they were creating with each other, and the foundations it was creating in the school, district, city, and world community. EdCamp has allowed me to meet and reconnect with people who are in education for the same reason I am. We’re all about preparing our students not just for the future but for the now. We’re focused on fostering connections inside the classroom and in the community. We want to make a difference. Why should you EdCamp? You’ll leave EdCamp with an abundance of ideas that you can use in your classroom come Monday morning. It may be a little overwhelming, but just try one small thing. My kids can always tell when I have been to any sort of conference because I’ll come back with something new to try. EdCamp isn’t just about the trendy new tech thing, however. It’s about sharing ideas already working in classrooms and using them to help your students grow and learn. There are hundreds of EdCamps around the country! We’d love to see you at EdCamp Omaha on November 18, 2017. Register for FREE, win some incredible prizes, collaborate, and make a difference. Have you been to an EdCamp before? 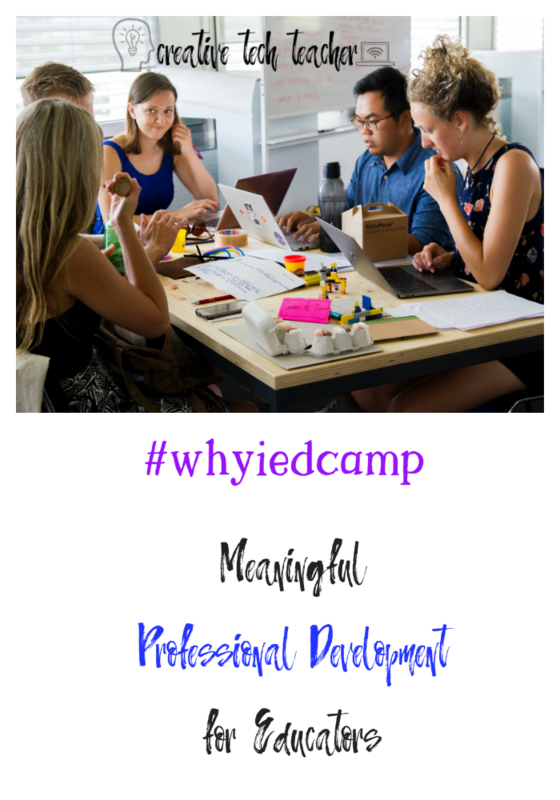 Share #whyiedcamp on our social media sites or in the comments below! Like EdCamp Omaha on Facebook. Thank you to our sponsors of EdCamp Omaha 2017! Thanks to Kathi Smith, Abby Fitzgerald, and Michelle Boyce for co-organizing this incredible event. How Can Teachers Unplug from Work in a Constantly Connected World?